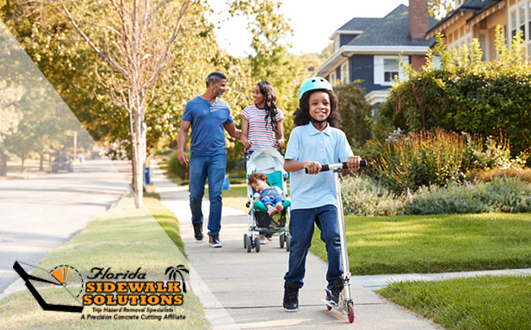 A sidewalk adorning either residential or commercial properties is, in fact, an asset. Like most aspects on the property though, it will also require routine maintenance to remain valuable. 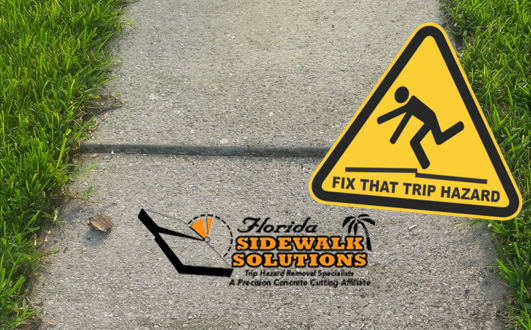 Furthermore, if it becomes uneven and the decision to fix sidewalk trip hazards isn’t made, the asset quickly becomes a liability to injuries and potential lawsuits. 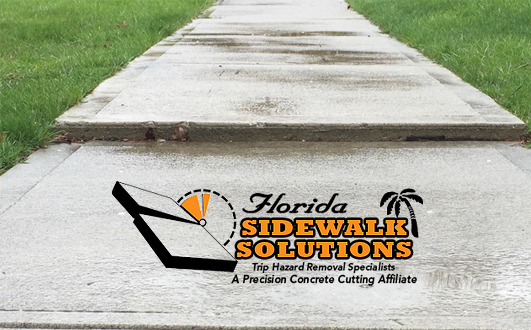 Although a concrete sidewalk is intended to last for decades at a time, it’s not uncommon for one to develop sidewalk cracks or uneven panels. Weather, growing flora, hard impacts, and other variables can all result in causing a sidewalk to become damaged. By using the Americans with Disabilities Act of 1990, a federal law, as a standard guide, it can be easy to determine whether or not that damage presents a liability. When Do I Need To Fix Sidewalk Trip Hazards? The ADA outlines a trip hazard as a public safety hazard that makes a walkway inaccessible to individuals living with a disability. 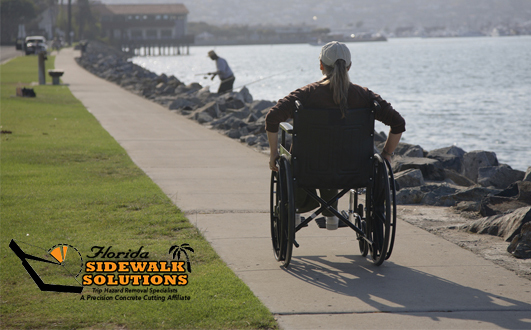 All inclines or gaps that are 1/4 inch or greater are considered to be non-compliant by the ADA. In the event someone sustains a serious injury on the sidewalk, the property manager or owner could be the one held legally responsible and wind up owing thousands if the case warrants a settlement. 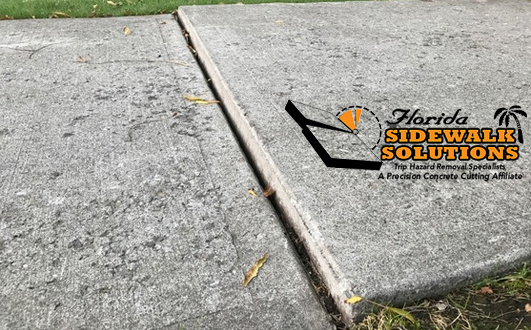 The best way to know whether or not you need to fix sidewalk trip hazards is to schedule an appointment with a sidewalk repair company specializing in trip hazard sidewalk repair services. 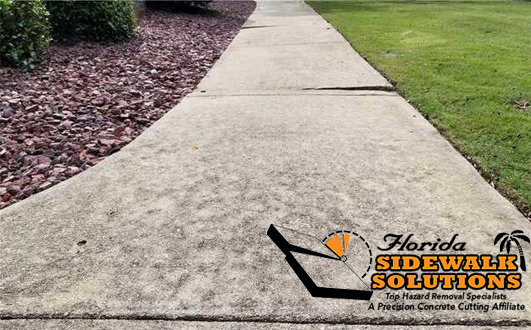 A trip hazard specialist can visit your location and inspect that property thoroughly. 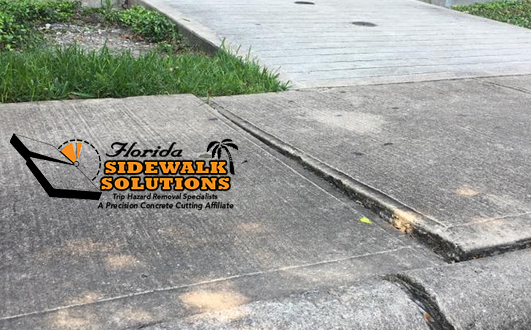 This sidewalk inspection can not only inform of any possible liabilities, but it often reveals other possible problems you might be unaware of. 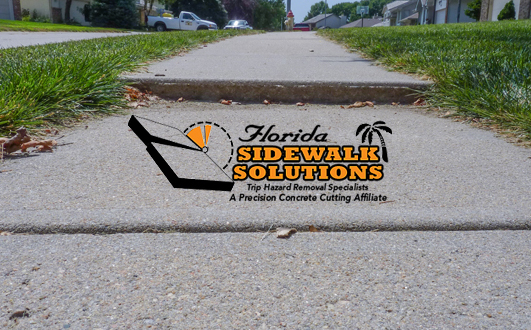 The different methods to fix sidewalk trip hazards are primarily grinding, cutting, and replacement. 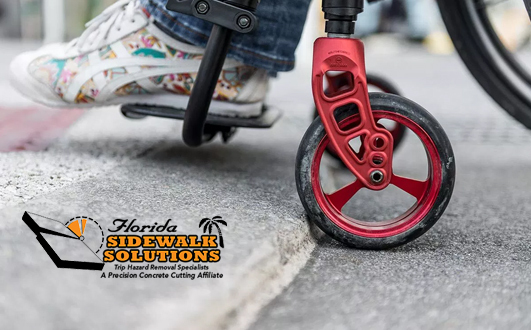 Although concrete grinding is a cost-effective method compared to replacing a sidewalk completely, it’s also limited and rarely meets ADA compliance. Fortunately, cutting concrete with new patented technology is now widely available and fulfills both of these benefits. 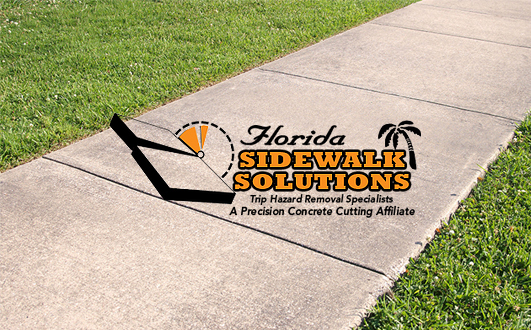 Advanced concrete cutting technology is cost-effective, fast, and environmentally friendly. Rather than producing excessive dust and leaving concrete pieces in landfills, new concrete cutting equipment collects the dust as it slices. In addition, it is capable of reaching all angles of a sidewalk panel without disturbing any surrounding obstacles. 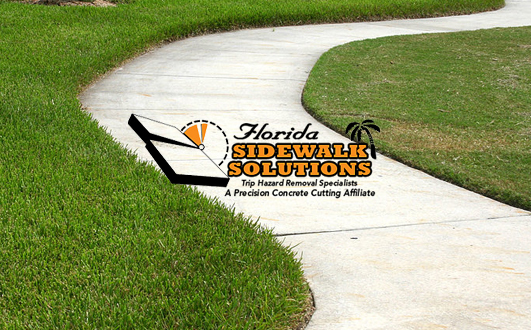 Florida Sidewalk Solutions is the premier sidewalk repair company in South Florida. 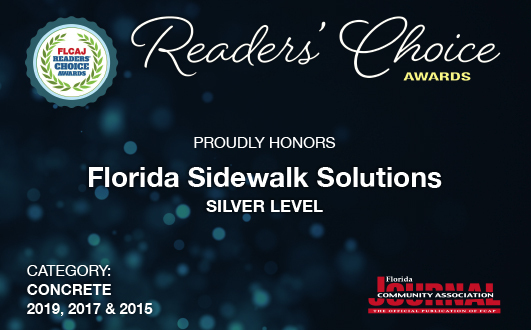 Our central offices in Davie allow us to effectively fix sidewalk trip hazards throughout the region. We have inspected and removed thousands of trip hazards for schools, municipalities, apartment complexes, HOA communities, and more. 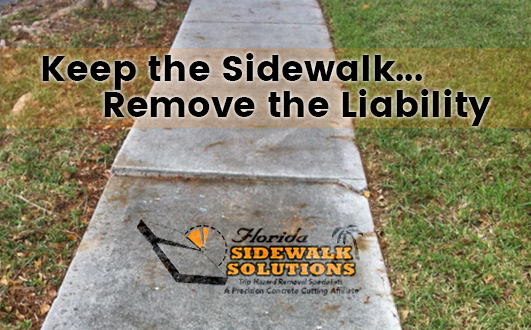 Contact us to schedule a free consultation and we will quickly get back with you on how we can help you keep your sidewalk and remove the liability. What is the Best Way to Fix Uneven Sidewalk Hazards?